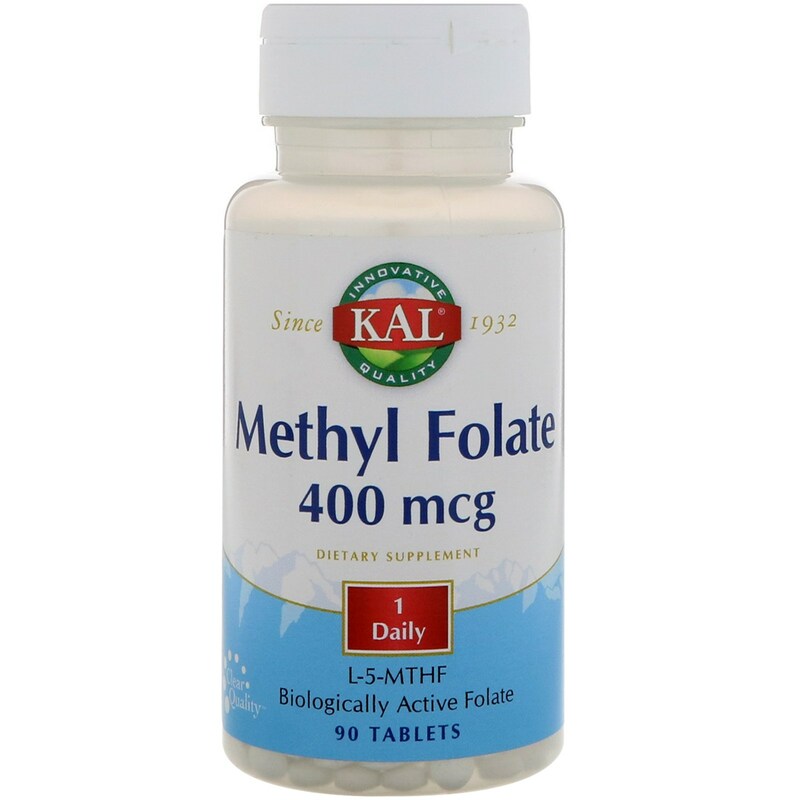 KAL Methyl Folate contains (6S)-5-Methyl-tetrahydrofolate (5-MTHF). 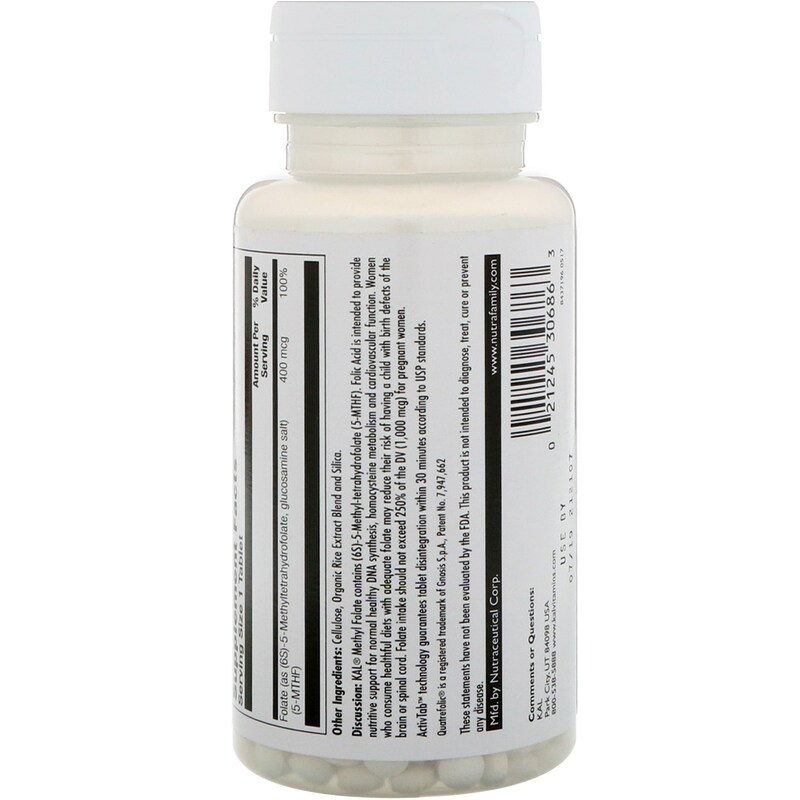 Folic Acid is intended to provide nutritive support for normal healthy DNA synthesis, homocysteine metabolism and cardiovascular function. Women who consume healthful diets with adequate folate may reduce their risk of having a child with birth defects of the brain or spinal cord. Folate intake should not exceed 250% of the DV (1,000 mcg) for pregnant women. ActivTab technology guarantees tablet disintegration within 30 minutes according to USP standards. Use only as directed. 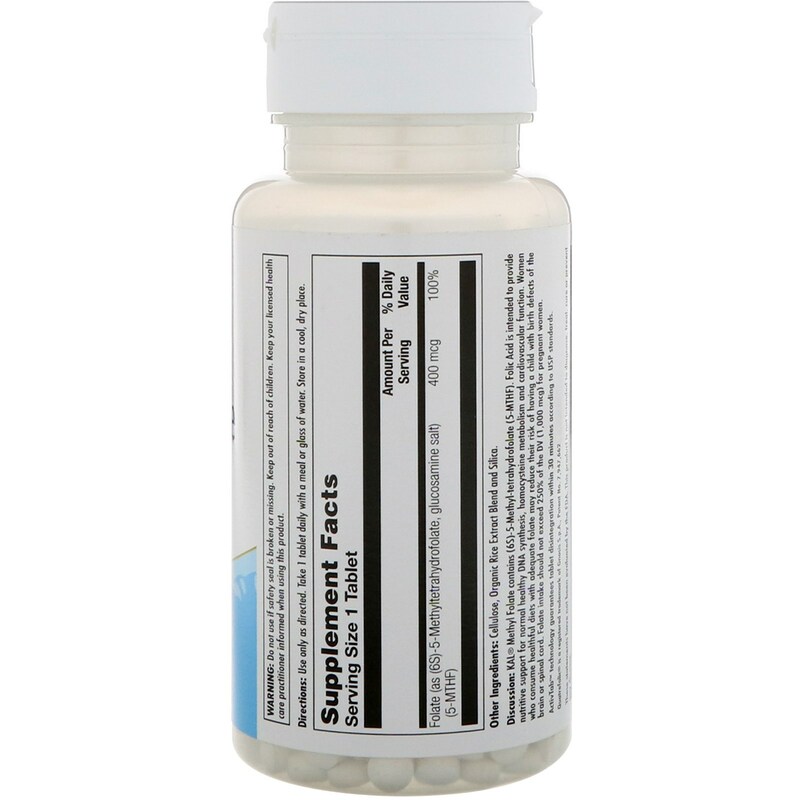 Take 1 tablet daily with a meal or glass of water. Cellulose, organic rice extract blend and silica.